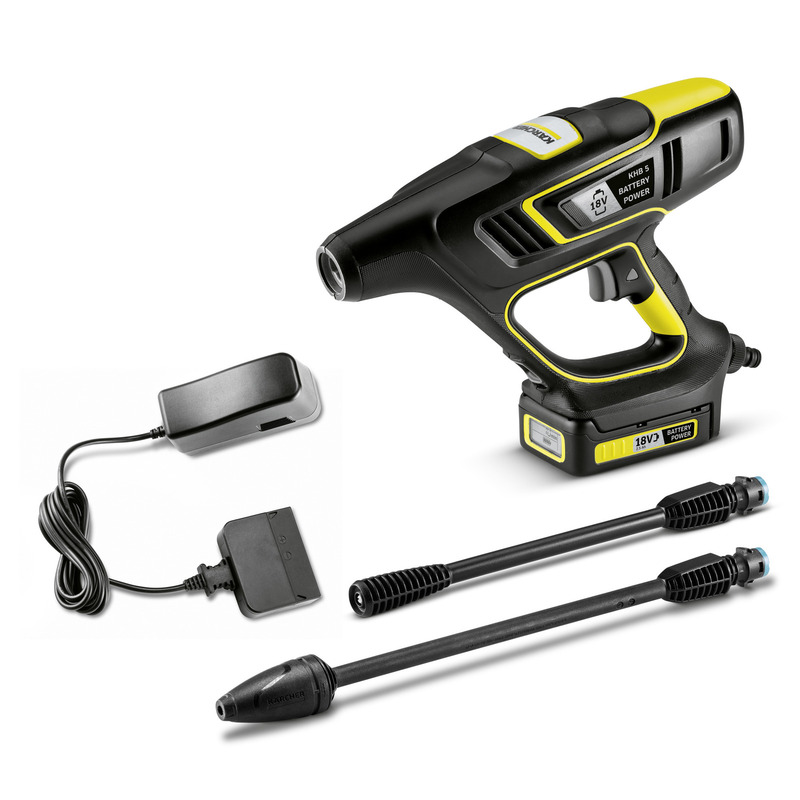 KHB 5 Battery Set 13281000 https://www.kaercher.com/int/home-garden/mobile-cleaning/khb-5-battery-set-13281000.html Includes 18 V Kärcher Battery Power exchangeable battery and fast charger: the battery handheld pressure washer for fast intermediate cleaning without requiring a power connection. 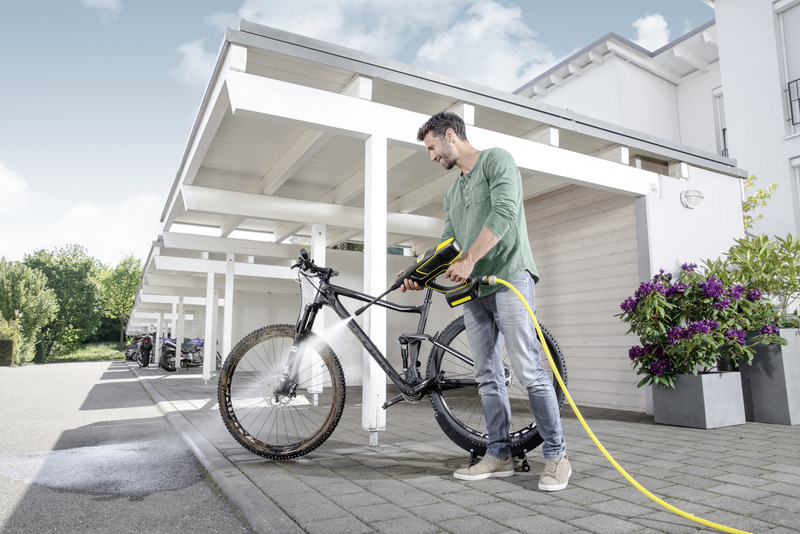 Includes 18 V Kärcher Battery Power exchangeable battery and fast charger: the battery handheld pressure washer for fast intermediate cleaning without requiring a power connection. Just connect the hose and you are ready to go. 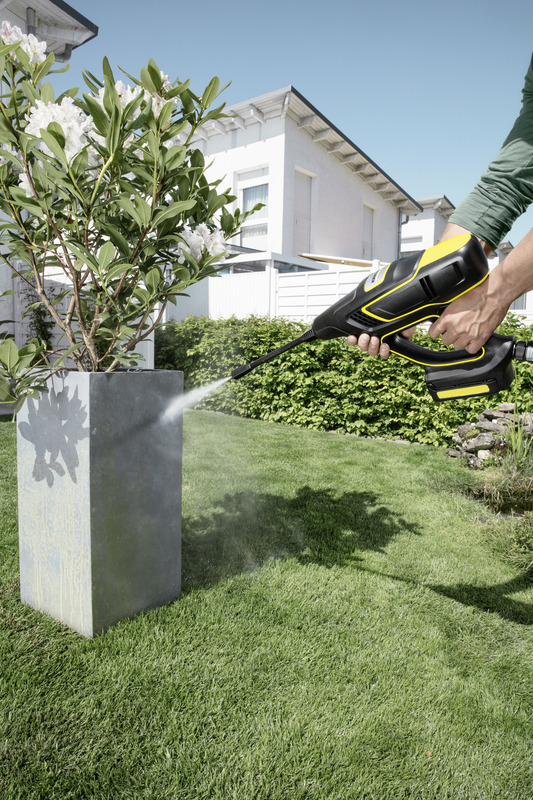 The Kärcher battery handheld pressure washer, including 18 V Kärcher Battery Power exchangeable battery (max. 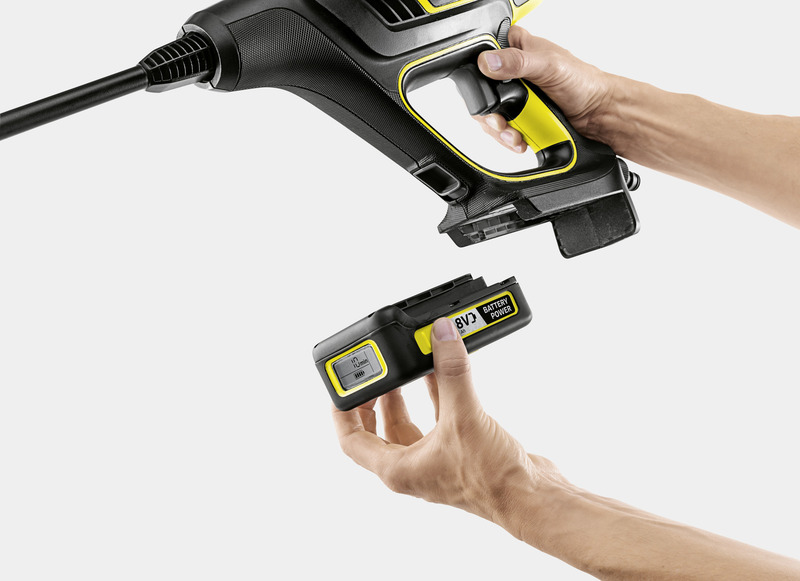 cleaning time of 10 minutes), is flexible and ready to use in no time at all – and completely independent of a power connection. The remaining battery running time can be easily read using "Real Time Management". 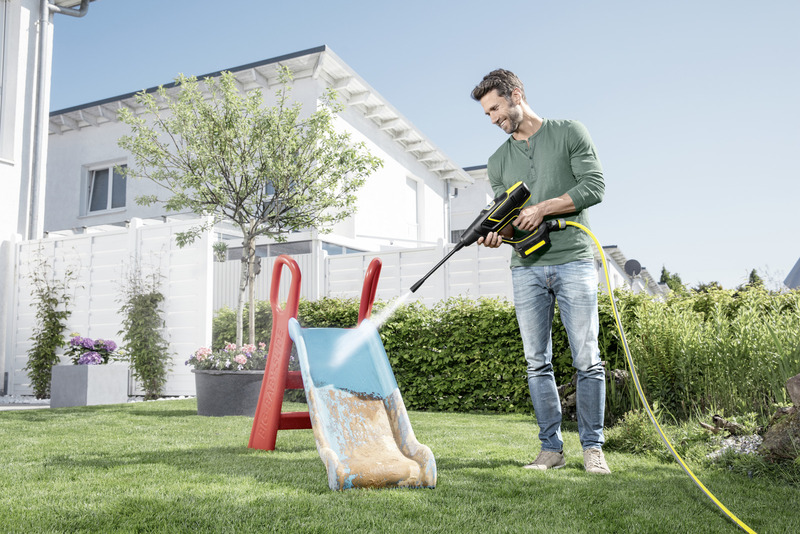 The KHB 5 Battery is ideal for the quick intermediate cleaning of garden furniture, flowerpots, bikes and for other applications around the home. A flat jet nozzle for gentle cleaning and a rotary nozzle for stubborn dirt are included in the scope of supply. Even delicate surfaces can be easily cleaned with the efficient but gentle cleaning jet. In addition, the compact cleaning device can be stowed away with ease. The long-lasting, powerful lithium-ion exchangeable battery can be used in all cordless devices on the 18 V Kärcher Battery Power battery platform. Real Time Technology with LCD battery display: remaining running time, remaining charging time and battery capacity. Long-lasting and powerful thanks to lithium-ion cells. Compatible with all devices on the 18 V Kärcher Battery Power battery platform. Maximum 24 bar for efficient, mobile and easy intermediate cleaning. Includes gentle flat jet nozzle and rotary nozzle for stubborn dirt. Enables optimum freedom of movement and flexibility. 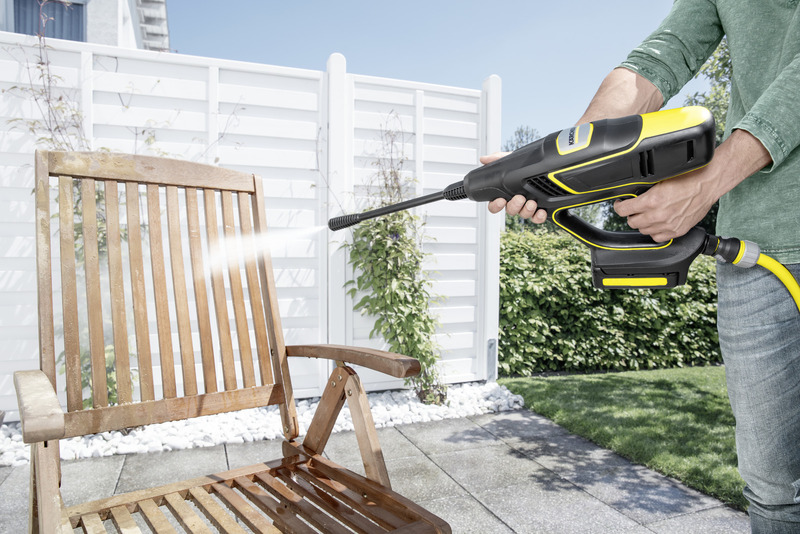 Battery handheld pressure washer for a wide range of applications all around the home. Kärcher suction hose available as optional accessory. For stairs and smaller areas: the PS 20 Handheld. The MJ 24 Handheld combines five nozzles and one spray lance for cleaning and watering. For places that are difficult to access: the 360° joint on the VJ 24 Handheld.